New startups are coming up with new ideas every day. These ideas come directly from normal people who face normal day-to-day problems. The End user is the most important part of any chain, and fulfilling his/her expectations must be the priority. Being such a user, I expect every feature that I can think of to be present in the gadgets I am using. The device we are reviewing today is a powerbank, a smart charger, has storage and fits in your wallet. 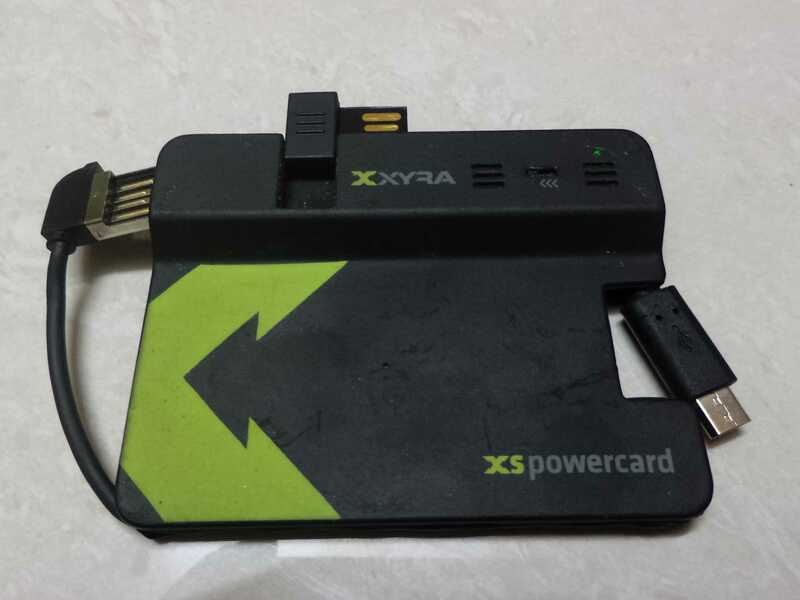 So today I am doing XYRA XS PowerCard review to see if it’s really fulfilling what it promises. The whole body of the powercard has a rubber coating on it which gets you a very good grip but ends up with some serious deep scratches if you are a rough user. The top portion is a bit thick compared to the bottom part. The USB and MicroUSB cable fits on to the edges making the size smaller and the design looks clean. You have one LED notification light that is always ‘on’ till the powerbank has some juice left. It lets you know if the powerbank is still charging or completely charged. There is a mini slider button next to the LED which is used to switch for fast charging. Next we have a pendrive which also fits neatly in the slot present in the powercard. All these things wraps up nicely inside the powercard. The only issue that I faced was first to use the slider button, and next to fit the cables back in. The powerbank is light in weight(66 g) but has very good build quality. 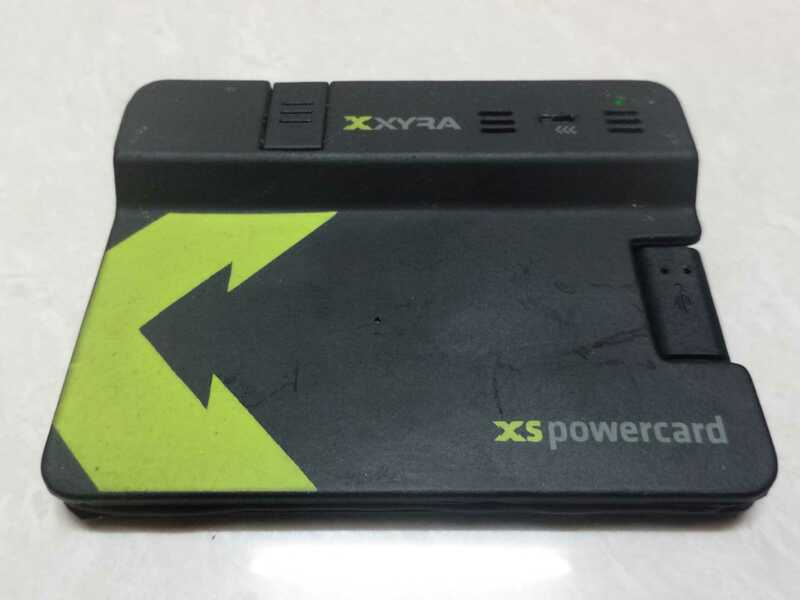 XYRA XS powercard has a capacity of 2200mAh which is not great if we compare it with other powerbanks. But taking the size into consideration, it has decent juice inside it. The USB 2.0 & Micro USB connectors fits in properly without any issue. Removing the pen drive from the power bank slot can also be a tough job if you don’t keep long nails. The main feature of this powerbank is, it cuts off current supply after the smartphone is fully charged. Also it doesn’t overcharges itself thus enhancing the battery life. You can use this as a smart charger by plugging it into a wall adapter & simultaneously connecting it to your phone. The powerbank was able to charge my phone from 0 to 73% with my phone battery of 3000mAh. XYRA says if you enable fast charging, the battery will drain faster so use it at crucial times only and charge it when you have the chance. The model that I was reviewing had 8GB USB drive storage. The other variants comes with 16GB/32GB variant and also a lightning connector. You can also use this powercard as data syncing cable. There is a small LED notification light which is always ON till the powercard has some juice left. It is Green if the powercard is charged, red if it’s low, and blue while charging. The price for 8GB version is INR 2249, for the 16GB model it’s INR 2699 & for 32GB it’s INR 3149. It is available online on Amazon and offline in Apple,Maple Stores. The powercard is overpriced even though considering all the features. Overall I liked the concept of having many features in a compact portable gadget. This gadget is totally worth checking out if the price is not an issue for you. So this was my XYRA XS Powercard review. Let me know your views for this gadget and if you will go for it.